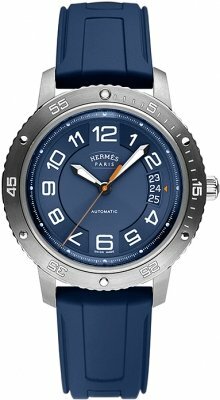 Get discounts on Hermes watches from Prestige Time and enjoy free shipping and legendary customer service. Large selection in stock. 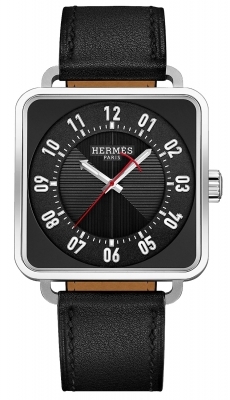 The Hermes watch is a Swiss made luxury watch brand fusing high fashion with the art of Swiss watchmaking. 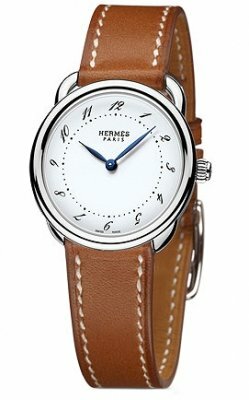 Hermes watches has many unique collections including the Arceau, Slim d'Hermes, Hermes Cape Cod Nantucket watches, Dressage, the Hermes H Hour, Kelly, Clipper Quartz and Automatic collections. 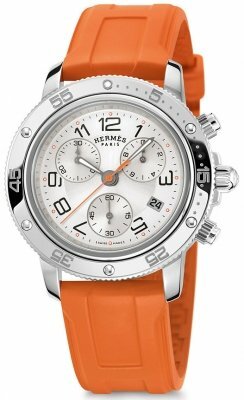 Buy a Hermes watches today & save! 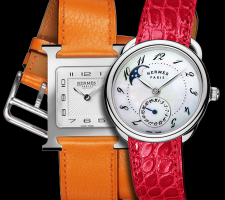 Hermes watches began producing timepieces in Biel Switzerland in 1928 creating La Montre Hermès. 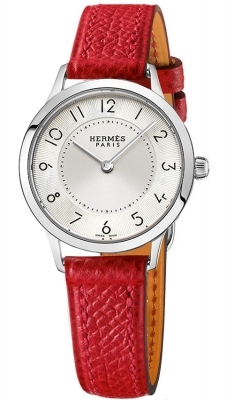 Hermes watches are classic and elegant with a large choice of beautiful straps. 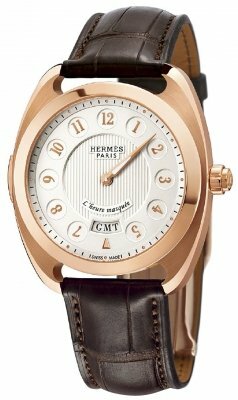 Hermes began with the Arceau watch and then quickly expanded to include the Clipper and Cape Cod watches. 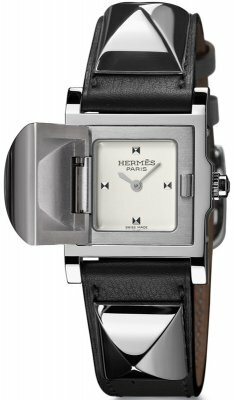 In 1997 Hermes launched the H-Hour watch which features the famous Hermes H. and is available in stainless steel and yellow gold models. Next came the Dressage which, an automatic watch with a Manufacture Vaucher movement and can be found in stainless steel and rose gold models. 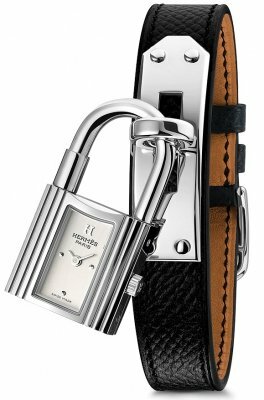 Hermes is a family owned business with a long history of creating beautiful leather goods, perfume and silk scarves. Today Hermes has boutiques throughout the world and is considered one of the most popular and recognized luxury brands.